Whilst venison from a fine fallow buck has been prized as a delicacy since the Normans reintroduced the species to our island, few British gourmets have cottoned on to muntjac as a culinary treat. According to fossils from the Miocene period (10 million years ago), the muntjac was northern Europe’s most widespread deer species in those far-off days. Now they are natives of Asia but recent colonists of southern Britain. A few escapes or introductions from Woburn and/or Whipsnade believed to date from the 1930s started the process, which has led to this species spreading rapidly northward. 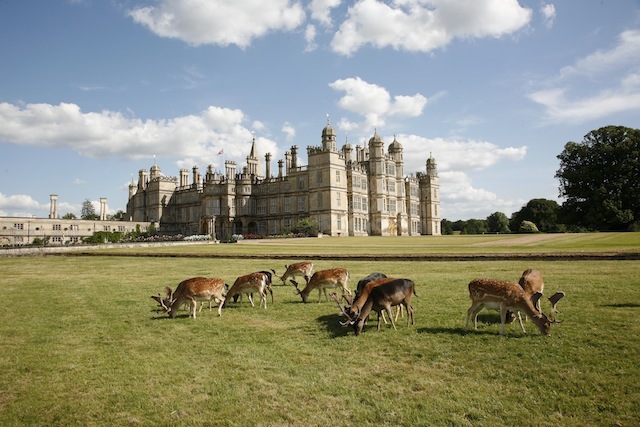 Many will know the graceful fallow deer of Burghley and Bradgate Park, and the ‘Monarch of the Glen’ or red deer that can be spotted around Grimsthorpe and in other parks in the region. Occasionally you may see our other native species such as roe deer, which has a base around Milton near Peterborough. The new kid on the block is more low-slung than the natives, about the size of a small labrador, and you are most likely to see him at night, his short legs and low head carriage giving him a piggy look very different to the other more elegant types. At Hambleton Hall we have been working with muntjac since gamekeepers started offering us animals five years ago. I have to report that they are absolutely first rate! They have a pale-coloured, mild-flavoured meat closer to lamb than to red deer. 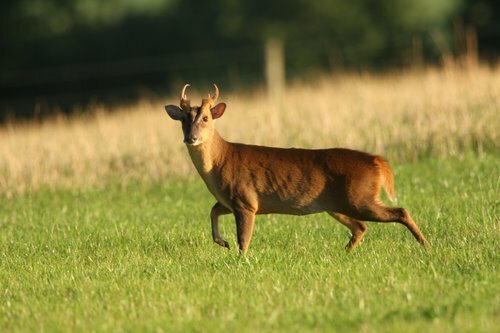 You will not yet find muntjac in Sainsbury’s or Waitrose, but a good butcher might be able to find one and it is not impossible for the enterprising home cook to deal with a whole animal. It is vital that your muntjac should be hung at around 4?C for seven to ten days. If you buy from a gamekeeper or butcher, this is best done in his cold-room. Next you need to divide the animal into three parts. The saddle is supremely tender and a treat for two or three people. 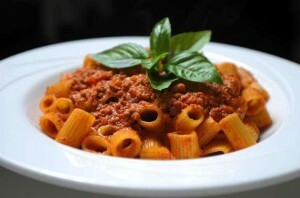 The legs are similar in size to those of baby milk-fed lamb and the rest of the animal can be minced to make a delicious Bolognese (see below) – the recipe works equally well for fallow venison. Roast the legs or saddle as you would lamb, but remember that you need to brown the legs carefully in a pan before giving them around 30 minutes in a medium oven to achieve medium rare (core temperature 65?C). At Hambleton we serve the Bolognese in a small copper pot beside a plate of homemade fettuccine, which is available from Hambleton Bakery. 1 In a pan, sweat the mushrooms and onions, then add the carrot and celeriac, and sweat all together for 1-2 minutes. 2 In a separate pan, fry the muntjac mince in vegetable oil over a high flame until coloured, then strain through a sieve to remove any excess oil. 3 When all the meat is fried, add to the vegetables with the tomato purée, chopped thyme and garlic, and simmer for 5-10 minutes. 4 Slowly pour chicken stock over the mix and continue to simmer till all the meat is tender. 5 Finish with some of the lime juice, Szechuan pepper and salt to achieve a fairly highly seasoned result. 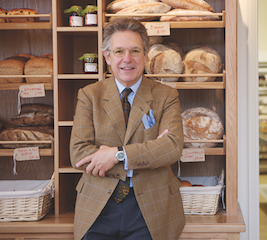 Tim Hart owns Hambleton Hall, Hambleton Bakery and Hart’s of Nottingham.